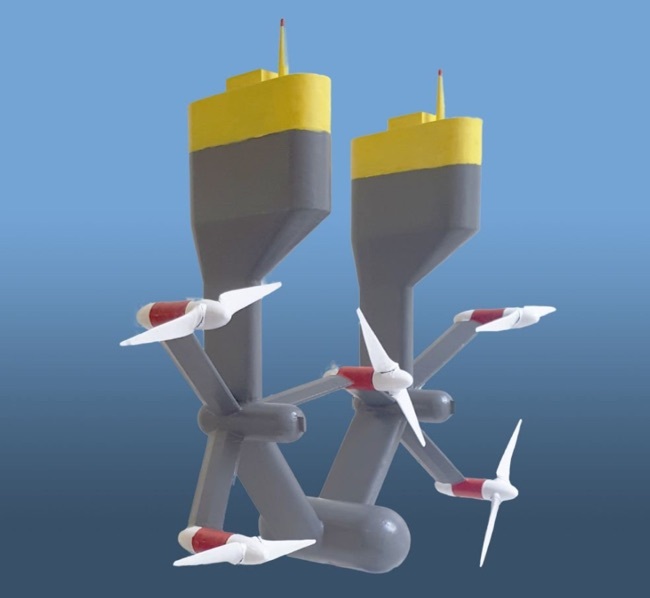 The Integrated Solution for offshore Tocardo Tidal power plants (In To Tidal) project aims to develop and demonstrate the world’s first turnkey floating power plant solution – the Universal Foundation System (UFS) – capable of integrating multiple turbines, and ready for successful commercial application. 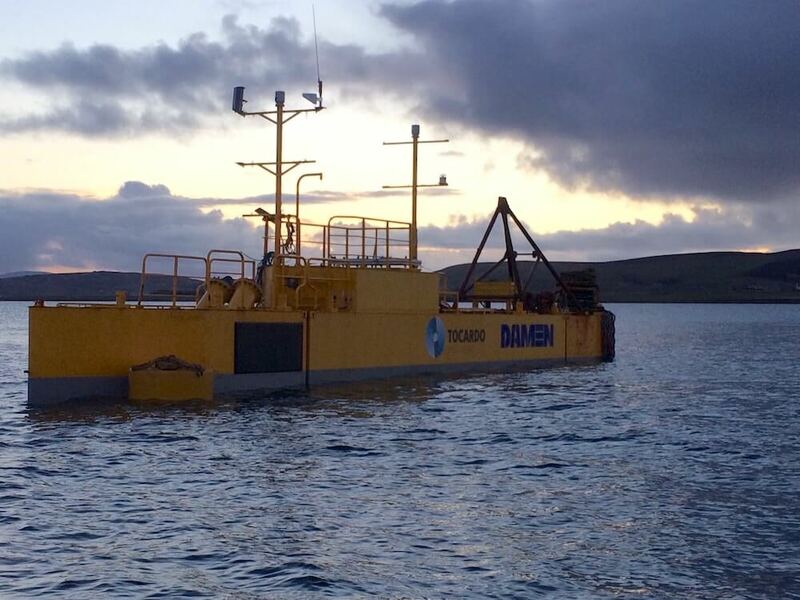 The UFS is a surface-based floating foundation enabling low-cost easy access to the tidal turbines for maintenance purposes, with all installation and service operations undertaken by small readily-available vessels. The UFS will be the first in the world to use a low wave response semi-submersible design. The European Commission’s research and innovation programme Horizon 2020 has granted €2.6million for the InToTidal project. 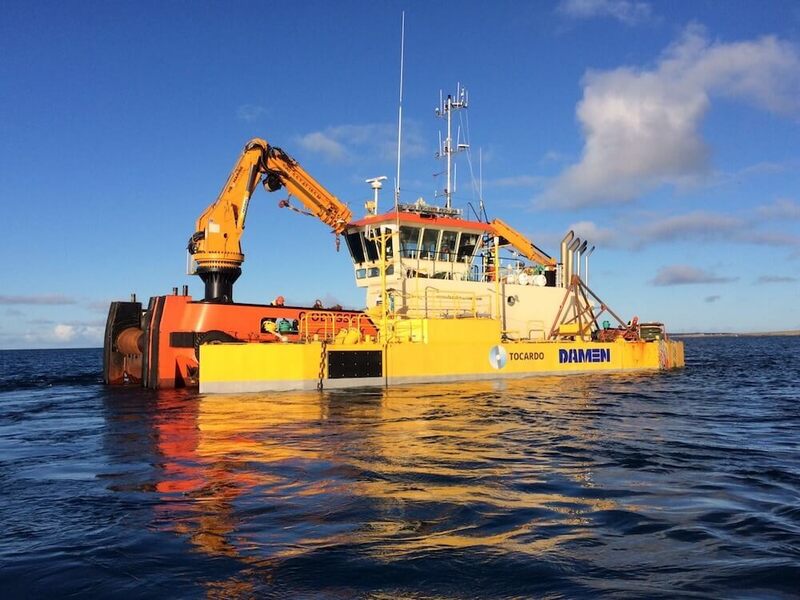 Led by Tocardo, the project brings together Orkney based companies Leask Marine and EMEC and French research institute Ifremer. 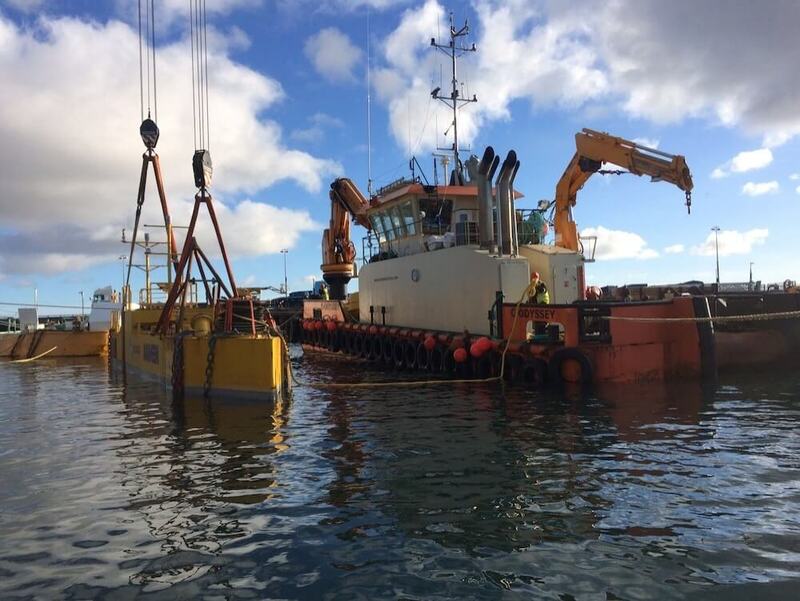 Tocardo has already been working with international shipyard DAMEN, as well as Leask Marine, Bryan J Rendall and Aquatera for the system deployment at EMEC’s tidal site. This project has received funding from the European Union’s Horizon 2020 research and innovation programme under grant agreement No 730628.